Life Legal Defense Foundation is a non-profit, non-partisan, non-political charitable and educational organization. Contributions to Life Legal Defense Foundation are presumptively deductible from federal income taxes as charitable contributions. 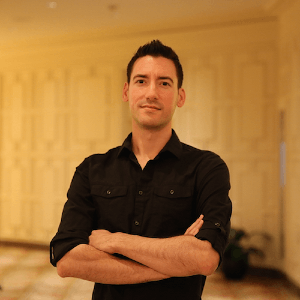 David Daleiden single-handedly changed the conversation on abortion in America when he exposed Planned Parenthood’s illegal sale of aborted baby body parts. Now, Planned Parenthood’s allies in the California “justice” department are trying to send him to jail! Life Legal Defense Foundation is committed to funding David’s legal expenses, but we are relying on the generous support of grassroots pro-life allies just like you to do it! Will you please make a much-needed, tax-deductible contribution today to help us fight for justice and continue the effort to expose, defund, and shut down the nation’s largest abortion provider once and for all? Planned Parenthood is a massive organization with allies in all levels of government. They are bound and determined to throw this fearless investigator in prison, and it will certainly not be easy to defeat them. Your gift today will ensure that David Daleiden stays out of prison. It will ensure that pro-abortion politicians can’t imprison whistleblowers with impunity. It will preserve the safety of courageous investigators who fight for truth and life. And most of all, it will bring us one step closer to defunding Planned Parenthood once and for all! Please support Life Legal Defense Foundation today, and help us continue funding David Daleiden’s legal defense and all of the vitally important pro-life cases before us.